WACO – The No. 4 Baylor equestrian team (4-0) knocked off No. 2 Oklahoma State (1-1) in the Big 12 opener Saturday at the Willis Family Equestrian Center. Oklahoma State took a 3-1 win in horsemanship, but Baylor won 3-1 in flat and reining while the teams tied in fences at 2-2. Baylor avenged a loss to the Cowgirls after OSU won the Big 12 championship over the Bears last season. “We are looking forward to next week because we go against No. 1 Georgia, and we know that will be another tough one. But I am very happy with how the girls rode today,” White added. The Bears take on No. 7 TCU on Friday and No. 1 Georgia on Saturday. 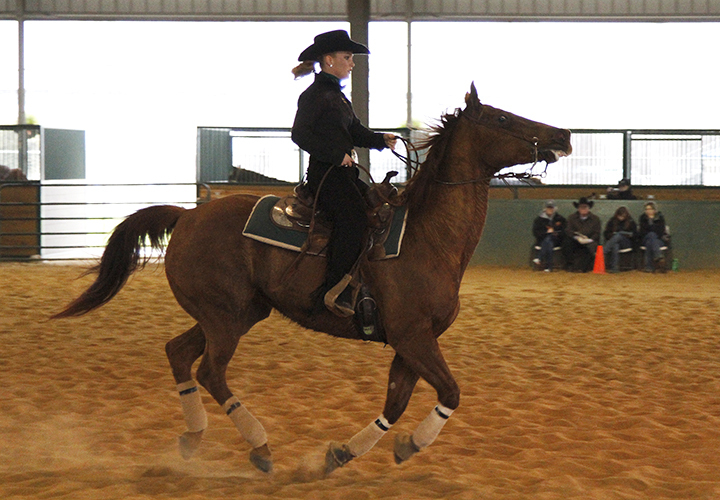 The back-to-back meets will take place at 10 a.m. at the Willis Family Equestrian Center.